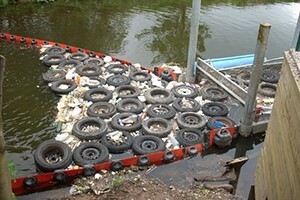 Mini-Max Skimmer – SOS Safety International Inc. 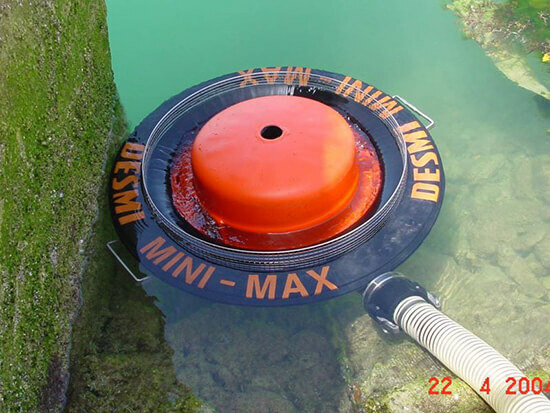 The unique MINI-MAX is a self-adjusting weir skimmer that is capable of recovering a wide range of oils and products floating on the water surface. It is ideal for small industrial separators, tanks and waters. 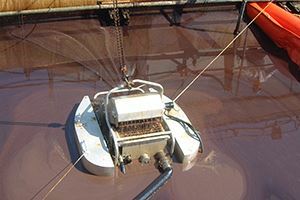 The unique MINI-MAX is a self-adjusting weir skimmer that is capable of recovering a wide range of oils and products floating on the water surface. It is ideal for small industrial separators, tanks and waters. This skimmer can be coupled directly to a vacuum truck or other suction pumps such as diaphragm pumps. The MINI-MAX is ideal for skimming a wide range of products – as long as it floats and flows the MINI-MAX will be able to recover it! The MINI-MAX skimmer head may be connected to any self-priming suction pump – preferably with a variable speed and a two or three inch suction connection. 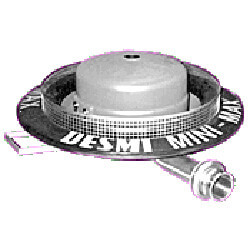 DESMI is able to provide a variety of pumps to suit many applications. Capacity and viscosity handling of the skimmer head is determined by the suction pump or vacuum system attached to the skimmer. Vacuum systems are ideal as they can pull a deep suction. 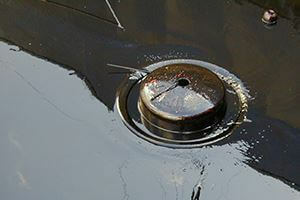 360 degree oil access – oil has uninterrupted flow into the central hopper, buoyancy is provided by the central float. Reliability – as the MINI-MAX has no mechanical components and is constructed from robust materials, it is ideal for installation in oil pits, API separators and other process lagoons where long term unattended operation is required. We typically package the MINI-MAX with a diesel driven 3 inch diaphragm pump in a convenient aluminium storage and shipping box. We can also provide electric, pneumatic and hydraulic driven diaphragm, peristaltic and centrifugal pumps. The MINI-MAX skimmer performs exceptionally well with vacuum systems. The skimmer head is able to accept solids up to 2 inches diameter (when the trash screen is removed), which pass directly into the vacuum tank. This combination is therefore ideal for inland rivers and marshes where high amounts of weed, grass and vegetation may be present with the oil. We also offer a variety of storage and transport solutions including stackable heavy-duty PE containers.